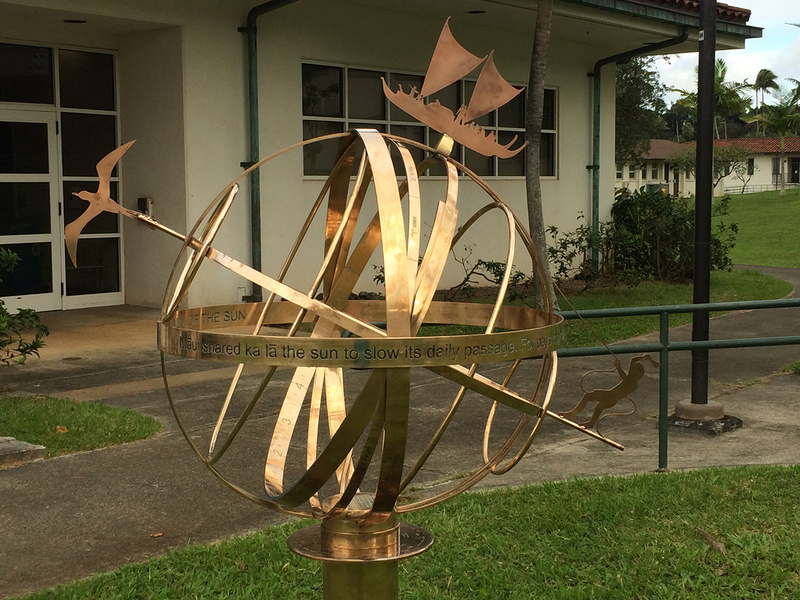 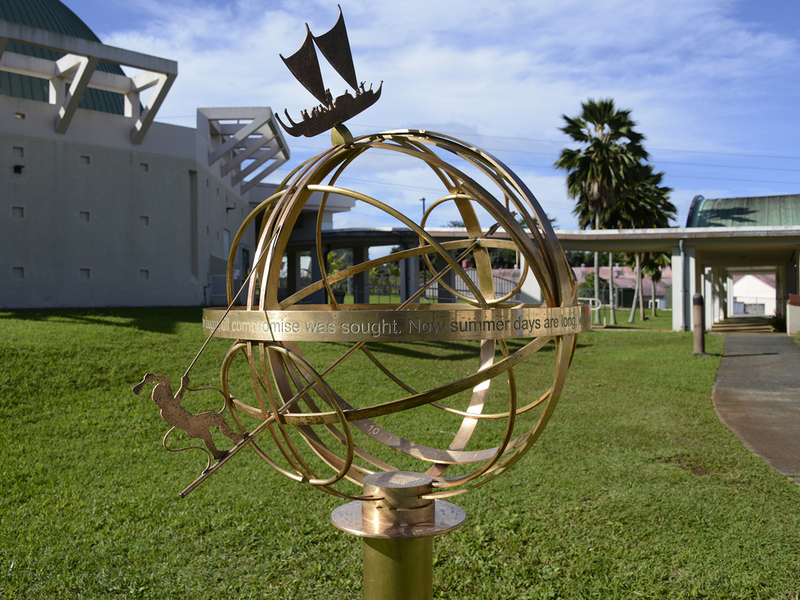 This 32-inch diameter bronze armillary sundial was designed and commissioned by Joseph Ciotti (Director of Windward Community College's Center for Aerospace Education) and crafted in England by Brad Dillon of Charlestown Sundials. 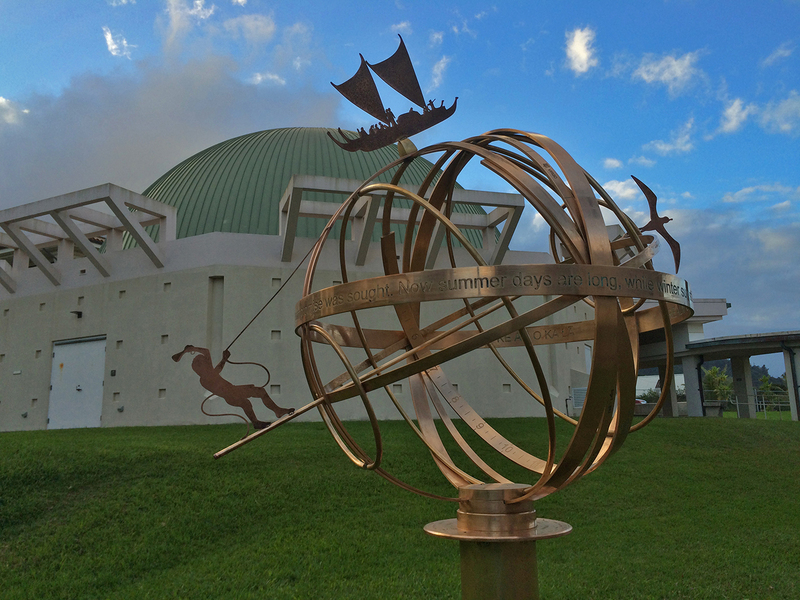 At 32-inch (800 mm) in diameter, this armillary sundial consists of ten bronze rings representing the horizon, meridian (or solstitial colure), equator (or equinoctial ring), Tropics of Capricorn and Cancer, the Arctic and Antarctic Circles, a "prime vertical circle" (perpendicular to meridian circle and horizon that spans from east to zenith to west), equinoctial colure (perpendicular to meridian circle and equator passing through the north and south poles) and an “upright ring” (between the prime vertical and equator that is inscribed with the zodiacal signs). 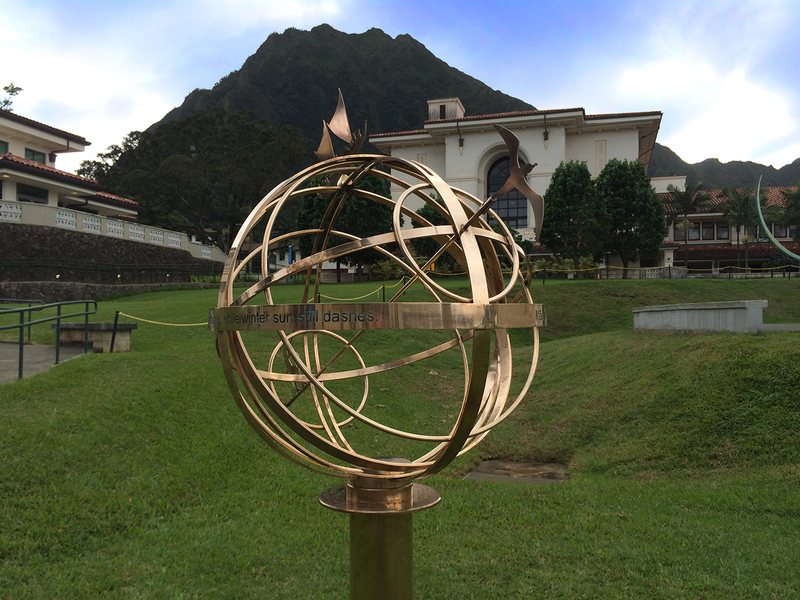 The Ke Ao o Ka Lā sundial is mounted on a bronze plinth on the northeast lawn of the Hōkūlani Imaginarium.